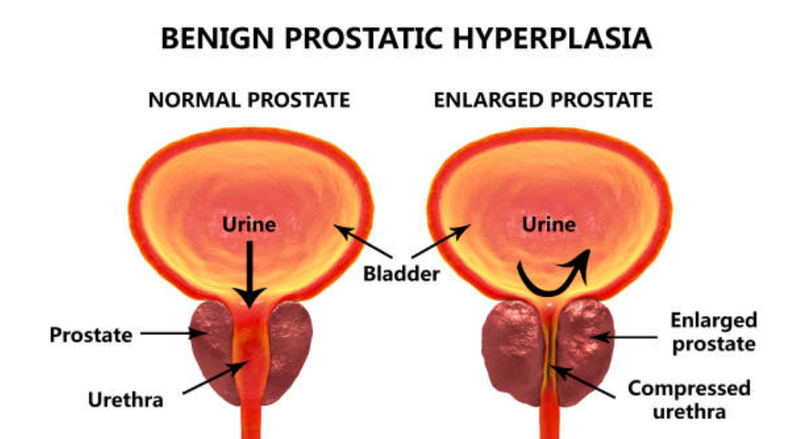 Benign Prostatic Hyperplasia (BPH) is the noncancerous growth of the prostate gland, which occurs normally in men as they age. The prostate gland surrounds the urethra at the base of the bladder and compresses the urethra, which reduces the flow of urine emptying from the bladder. This often causes voiding symptoms and affects more than half the male population after the age of 50 in the United States. BPH symptoms can significantly affect a man’s quality of life (and at times his partner’s as well!) Make sure to call the professionals at Georgia Urology if you notice any of these symptoms happening to you or your loved one. Complications of untreated BPH can include recurrent bladder infections, hematuria (blood in the urine), kidney damage, and kidney or bladder stones. If you are experiencing any bothersome symptoms you should discuss this with your urologist who can work with you to devise the best treatment plan to improve your condition. There are physicians at Georgia Urology who specialize in all the treatment options available for BPH including the newest therapies. Make an appointment online today and let us get you on the road to improvement!